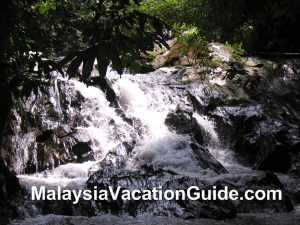 Are you looking for a good Malaysia Waterfalls to go to? 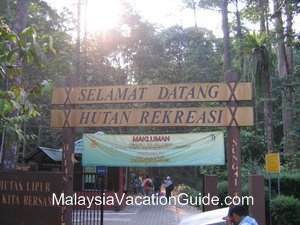 If you are, head for Sungai Tekala Recreational Forest which is located about 14km away from the town of Semenyih in the district of Hulu Langat, Selangor. 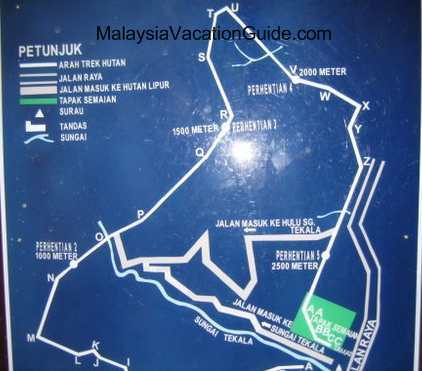 The distance from Kuala Lumpur is approximately 50km. 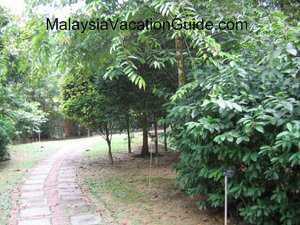 This recreation park was established in 1982 for the public to enjoy the beauty of the tropical rainforest in Selangor. The concrete steps that leads you to the many cascaded waterfalls. The waterfalls here are easily accessible with plenty of parking bays. Concrete steps have been built to enable you to climb up to the cascading waterfalls which is usually crowded especially during the weekends. 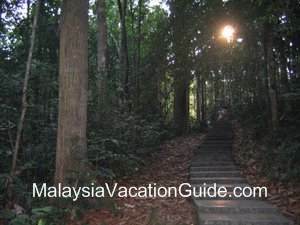 This place is an ideal get-away for the entire family as you will be able to reach the waterfalls within 10 minutes of walking from the entrance. During the weekends, you will see many families having picnic and swimming at this lush tropical rainforest. You will even learn the names of the trees as there are good signage that are placed near the trees. Among them are Jelutong and Merbau trees. Cicadas can be seen here as well. The crystal clear and cool water here is safe for you to enjoy as it originates from the hill. 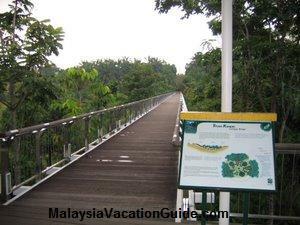 This park has basic facilities such as rest huts that are built near the steps that lead to the waterfalls. These huts with benches are ideal for picnic and act as shelter from the sun and rain. Toilets are also available near the entrance to the park. Changing rooms are randomly located near the waterfalls for you to use. There are many stalls that sell food stuff at the entrance of the park. If you are on tight budget, it is better to bring your own food as the food prices here is higher than if you were to purchase them at the supermarket. One of the many waterfalls that you will encounter as you go up the forest. Children enjoying themselves at the down-stream of the waterfalls. The admission fee is RM1 per adult and RM0.50 per child (12 years and below). The admission fee was implemented since July 1, 2007. Opening time of the park is from 7am to 7pm everyday. If you are driving, head for KL-Seremban Highway and exit at Kajang toll. 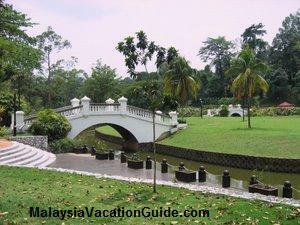 Follow the signage to Semenyih town and turn to the road that leads you to this park near the mosque. You will have to travel another 14km before reaching here. Along the way, you will pass by Nirwana Memorial Park, a well managed burial site. You will also pass by an Ostrich Farm as well as one or two fishing lakes. 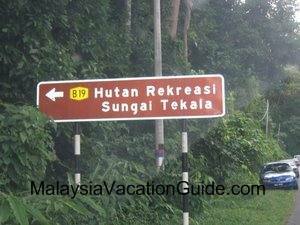 The signage to Sungai Tekala Recreational Forest. If you are into trekking, this is a good place to do so. This 34m waterfalls in Johor is a favourite among the locals during the weekends. This park has small waterfalls and is suitable for camping, picnic and team building programme. 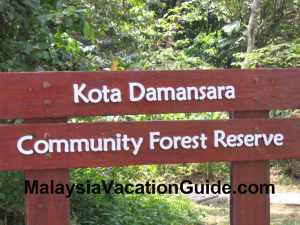 There are seven waterfalls in this recreational forest which is about an hour drive away from Kuala Lumpur. You may want to consider dropping by Rawang Fei Kee Food Stall for lunch or dinner after the trip. Stop by this waterfalls on your way from Tapah to Cameron Highlands. This waterfalls is located near the "orang asli" villages in Serendah. There is a fishing pond where you can go fishing for a fee just before reaching the waterfalls. 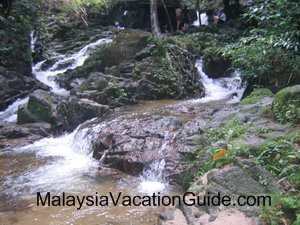 Another Malaysia waterfalls for your recreational needs. "Telaga" is the Bahasa Malaysia language for well. "Tujuh" means seven. These 7 unique wells are always overflowing with waters flowing downstream from the river in Serendah. This park with waterfalls can be reached after 45-50 minutes hike. A pool for swimming with water from the river is about 15 minutes walk from the base of the park. 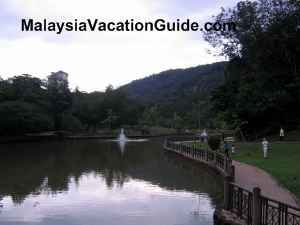 This park with well-marked trails and waterfall is located 24km away from Tawau town in the state of Sabah. Enjoy your waterfalls here? How do you rate the waterfalls compared to others that you have been to? Share with us. Please use the form below to submit your story and thanks for sharing.